Solving the Split Faced Block problem.| Decker Home Inspection Services. A new “Split-Block Certified” inspection program can ensure the homebuyers and sellers don’t get stuck. For the last 15 years or so, especially during the building boom of the early to mid 2000’s, there were a glut of new single-family and condominium buildings constructed in the Chicago area. 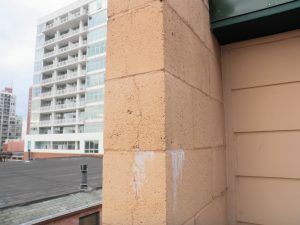 Many of these condominium buildings utilized a newer exterior masonry product that is commonly called split faced block. This material looked like an 8″ thick cinder block, but had a rough face, making it look like stone. During manufacture, a complete 16″ block is “split” to form two 8″ pieces, each with a rough face. 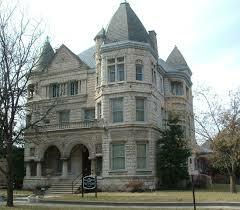 The finished product resembles rock-faced masonry in Richardsonian Romanesque houses (below) popular in the mid-1880s. Split faced block was commonly used as the exterior wall cladding on the sides and rear of single-family, 3, 6 and 8 unit condominium buildings, with the front of the buildings, usually, being covered with a brick or stone veneer. This block is strong enough to use as a structural wall (i.e. a wall that actually supports the building) but also attractive enough to use as an exterior cladding wall at the same time. Because of this, the exterior walls were constructed only one block thick (single wythe), as opposed to the usual Chicago practice of 2 or 3 widths of masonry (multiple wythe wall assembly). The material could be installed by less experienced and less expensive workers. The problems we are commonly seeing with many split faced block buildings are the result of water intrusion. The symptoms can include water stains on ceilings and walls, warping and buckling hardwood floors, water dripping from exterior wall electrical outlets and light switch boxes, musty smells and mold formation. In severe cases, rotting of the structural floor, ceiling and roof members can lead to catastrophic collapse. It is important to realize that these are not the problem, they are merely the symptoms of the real problem which is water intrusion in the block. One building that I inspected displayed vertical plane cracking through the block from water freeze expansion. It was no longer structurally sound (right)! Many times, home owners will have the roof replaced or “patched” because they suspect roof leakage when the real problem is not the roof. The best solution is always to solve the primary issue (the water intrusion) before addressing the secondary symptoms. The latest outgrowth of this problem is a general shunning of this type of building by the current owners and any prospective buyers. There are some Real Estate brokerages that will not even list for sale condominium units in a split faced block building. Condominium association members and owners find the value of their units collapsing. Some split block owners have chosen to simply abandon their property, preferring a foreclosure to having to spend more money fixing these problems and leaving abandoned buildings littering the city. Having inspected more than 600 such buildings myself, I can tell you that as this problem becomes more public, more and more of these buildings are being avoided by prospective buyers. It’s very similar to the so-called “Dry-Vit” synthetic stucco problem of about 10 years ago. How can this situation be changed from an irrational stigma to a recognized and managed part of the routine maintenance that is necessary for any large building? A number of Professional Home Inspectors with building science backgrounds have been studying and evaluating this problem over the years. Working in conjunction with the Portland Cement Association, Architects, Structural Engineers and other building science professionals, as well as the InterNational Association of Certified Home Inspectors (InterNACHI), we have developed an inspection methodology and specification to determine if these buildings have been properly constructed and maintained. If they have not, recommendations can be provided as to how to repair the building in such a way as to ensure that there will be no future problems. We have also identified and worked with a number of masonry and restoration contractors who now specialize in the repair or retrofitting of split faced block buildings. This program, called “Split Faced Certified”, is a complete regimen designed specifically to solve this problem. A subject building is inspected by a specially certified inspector. If there are any outstanding issues, these are specified and can be repaired by certified contractors with special expertise dealing with split block water intrusion problems. We have even engaged with some insurance companies and banks who can provide funding for the repairs. When the work is completed, the building is re-inspected (at no additional cost) and the certification issued. This certification should go a long way towards alleviating any fears that unit owners or prospective buyers would have about the building. This program is specific and is trademarked. 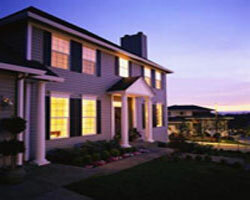 Only certain inspectors, contractors and Architects have been trained and are qualified for this program. Look for the “Split Block Certified” seal to be sure that your building will have no problems.